Businesses processes can become complicated over time. Financial operations grow more complex as your businesses expands. Managing inventory can also become increasingly confusing as your supply chain increases in size. Disparate specialty software and elaborate spreadsheets only add to the confusion. Get back to simpler times by deploying a straightforward enterprise resource planning (ERP) solution. Businesses that rely on several disparate specialty software programs may find that these solutions can adequately capture specific data but can also create confusion. Different programs can be difficult to learn and master, especially to the employees that need to work within several of these disparate solutions. This confusion can introduce the chance for mistakes or inconsistent data entry which can lead to inaccurate data. Multiple software programs can also be expensive to license and customizing integrations or other maintenance activities can become costly over time. There is a simpler way to manage your business operations that can cut through all the confusion and redundancy that comes with disparate software. A single, integrated ERP solution is much easier to learn and use than multiple specialty software programs. A comprehensive solution, such as Microsoft Dynamics® GP, can provide a simple and flexible way to manage core business operations, even as they may change over time. You can manage finances, inventory and supply chain, manufacturing and distribution operations, human resources and payroll activities, and other business operations from one solution with greater efficiency than using multiple solutions. Since Microsoft Dynamics GP is scalable you can add, change, and customize features and functions easily and affordably. 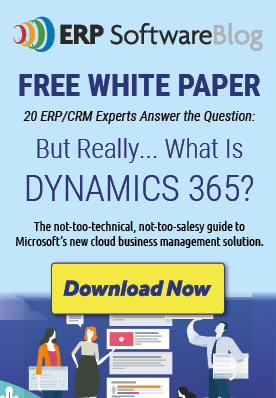 Disparate software can’t offer the rich business intelligence that is built in Microsoft Dynamics GP. You can have quick access to key real-time metrics which you can use to your competitive advantage. For example, you can monitor sales and identify trending products or changes in customer needs. Identifying hot products or common replenishment items can improve procurement decisions, which can also improve cash flow. These insights can improve productivity and profitability throughout your business enterprise. Replace confusing, disparate software with a stronger, integrated business management solution. 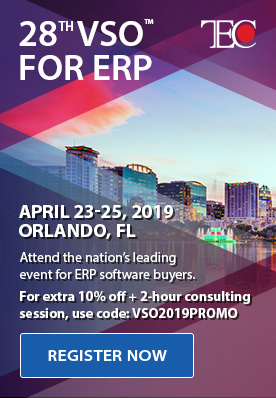 Contact Sherwood Systems to learn how you can manage business operations with a simple and effective ERP solution that can keep up with business changes and growth.